Henry Yan is a painter and teacher at the Academy of Art University in San Francisco. This book focuses on the tips and techniques in drawing human figures and portraits. All the paintings included are from his class demonstrations and workshop studies developed from many years of teaching. And all drawings are done from live models. There are about 20 step-by-step demonstrations from quick 20-minute sketches to long poses. He shows us how he draws and teaches us what to look out for, and the various techniques to approach figure drawing — lines, mass, shadows, etc. He has a very cool painterly style and energy to his figures that I like. Some pieces are created like Chinese paintings, not drawing in too much details to invite viewers to fill in the details themselves. 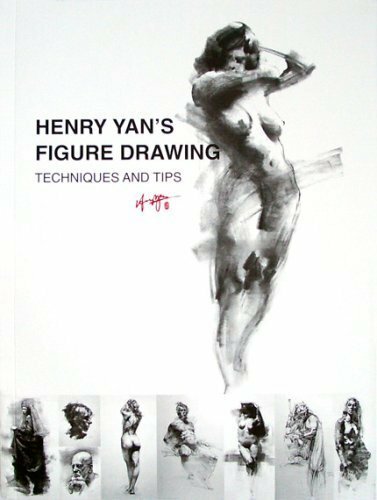 It's an inspiring book filled with beautiful images, recommended to anyone into figure drawings. You can check out more art from Henry Yan at www.henryyanart.com. I eally want this book, too bad I can't buy stuff online and kino don't have it. I bought mine at Basheer bookshop. Maybe they still have it. That's if you're in Singapore. That's against the copyright law. So, no. hey, the book is out of stock and we live in the middle of nowhere.. knowledge is more important than stupid laws from first world countries...think about it dude.